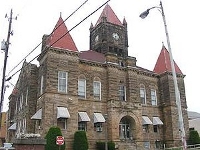 Welcome to the Wetzel County Assessor’s Office website. We hope this website helps you answer questions and assist you with your yearly assessment needs. The staff and I are ready to answer your questions and concerns so please feel free to give us a call at (304) 455- 8214 or (304) 455-8216. Our office is open from 9:00 AM to 4:30 PM Monday - Wednesday and Friday, 9:00 AM - 4:00 PM Thursdays, and 9:00 AM to 12 Noon Saturdays. Assessment Data Click here to search our assessment data. Land Books We now have our Land Books from 1985-2015 on our website. Click here to view. GIS We are pleased to announce our interactive GIS portal. Click here to view. Map Cards We now have our map cards on our website. Click here to view. Personal Property Forms will be mailed out by the state on or about June 29, 2018 These forms are preprinted with the information you gave the Assessors Office last year. We need the information to be current as of July 1, 2018. List all cars, boats, boat trailers, campers, motorcycles, cattle trailers, utility trailers, 4-Wheelers etc. Cross out any equipment you no longer own as of July 1, 2018. This form is for tax year 2019. The only money due with this form is dog licenses. You can also now file your personal property form online. Click here for Online Filing! Dog Licenses: All dogs in the county must be licensed once they are six months old. Dog licenses are good for one year, from July 1, 2018 until June 30, 2019. The fee ranges from $3.00-$6.00 per dog depending on the district where you live. Homestead Exemption: Persons 65 years or older as of June 30, 2018 or those persons totally disabled can apply for Homestead Exemption. This allows a $20,000 reduction on the real estate assessed value. It does not affect personal property. You may apply for the Homestead Exemption from July 1, 2018 through December 1, 2018.